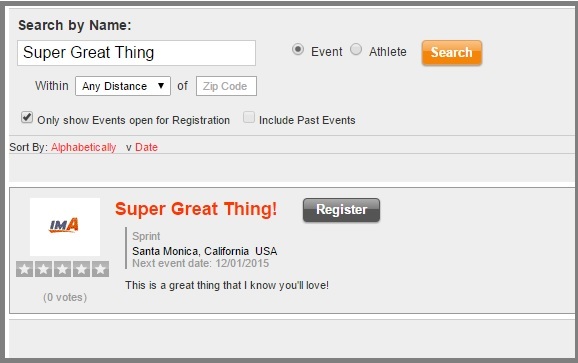 imATHLETE | Where are my Event Details? Do you have questions about your upcoming event? Or maybe even a past event? Here's how to look those up! If you don't see the results in the list, try to shorten the name to just one word. If it's a past event, click the box to include past events. Then click the event name. Once the event page pops up, click on the Details tab. Here you will find all sorts of helpful information! If you can't find what you're looking for on this page, you can contact the event coordinators for more information. You can find their contact information on the left side of the screen. And don't worry if the email address is cut off, just right click on the email address and then click Copy Email Address, then you can past it into your email server. Do you have questions about your registration instead? Not a problem! 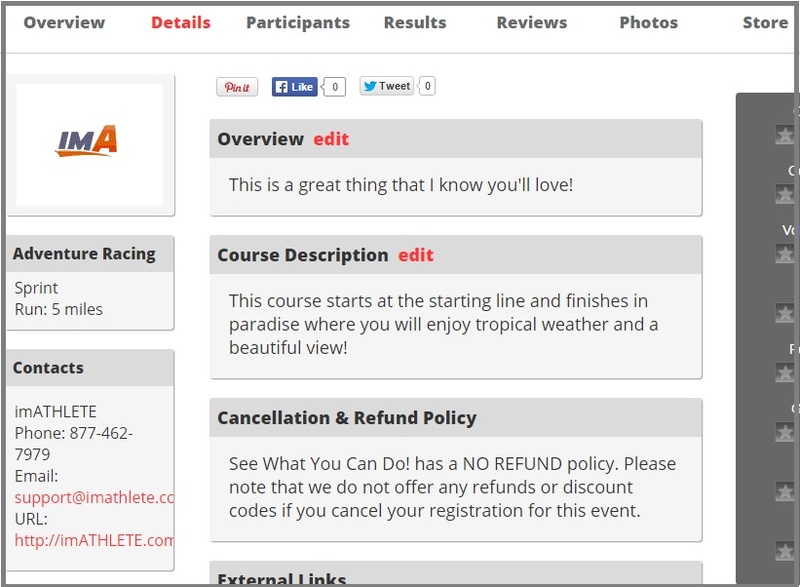 Just click Email Us on the right side of this page to talk to imATHLETE!